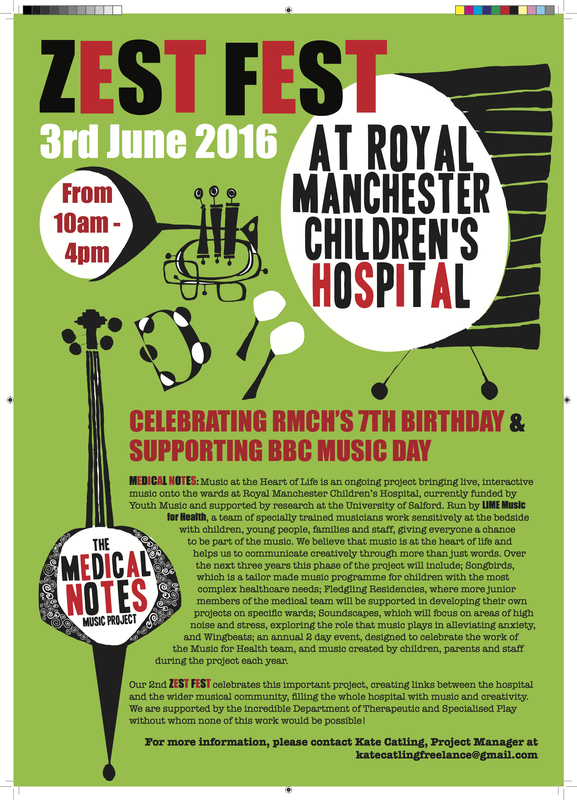 Music for Health is pleased to announce that our annual Zest Fest at Royal Manchester Children’s Hospital has been selected by the BBC as a feature of BBC Music Day this Friday 3 June. There is an action packed event programme between 10am and 4pm and all the atrium events are open to the public so come along and join in the celebrations with music, laughter, face-painting, balloons and magic. At 12pm there will be a samba parade around the hospital grounds culminating in the atrium with a fantastic sing-a-long samba Happy Birthday to mark the hospital’s 7th birthday. 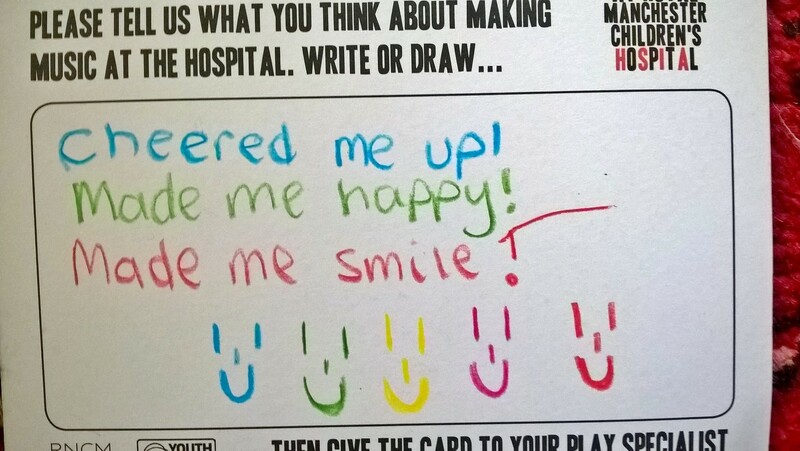 Music for Health has been delivering residencies and training programmes at the hospital since it opened 7 years ago and before that worked at Booth Hall Children’s Hospital. 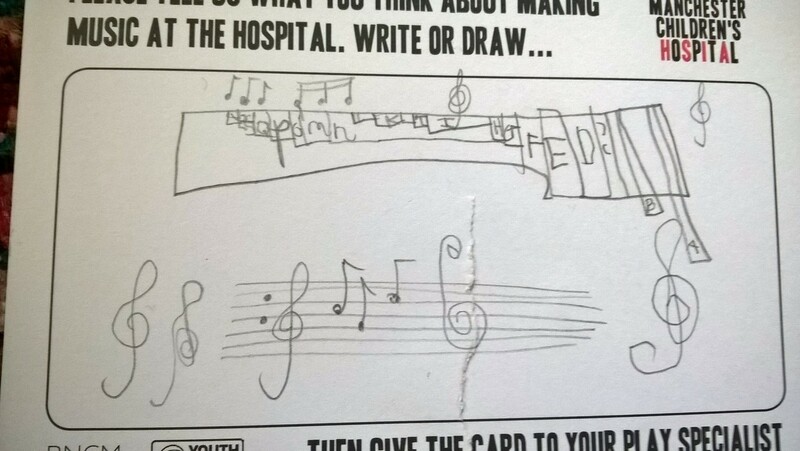 Our work continues to go from strength to strength and the BBC are highlighting the importance of our work bringing high quality music onto the wards for patients, their families and for staff members. We’re very grateful to Youth Music for funding this event and to our event partners Music in Hospitals for providing many of their musicians. LIME Music for Health is recruiting an experienced, part-time freelance project manager for their Youth Music funded programme at Royal Manchester Children’s Hospital – please share the following link with any relevant groups/contacts and thanks in advance. Deadline for applications is 15 February 2016. A Songbird’s Tale tells the story of young bird Brambling Rose, who, after being seriously hurt in a collision with a glass windowpane finds his way home to an independent life, helped by a series of kindly creatures encountered on his journey of recovery. 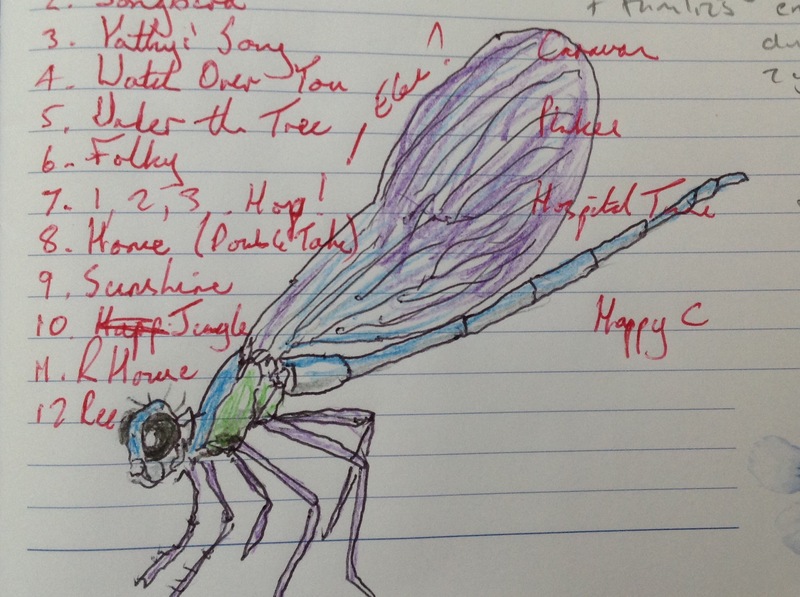 Written and composed by LIME Music for Health Specialist Mark Fisher, A Songbird’s Tale is inspired by his experiences working on a two year music residency with fellow musician Ros Hawley and the children, families and staff they met on wards 83, 78 and HDU. 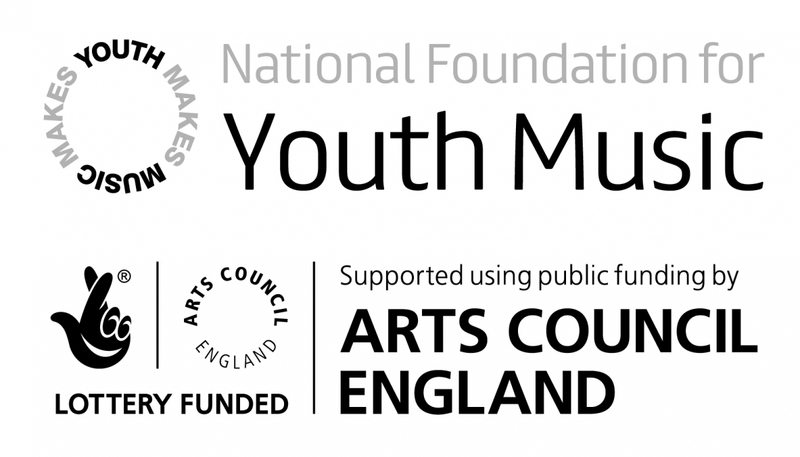 The project is funded by Youth Music. Brambling’s story is an imaginative tale, travelling through a series of mini worlds of nature where he meets the animals who help him to find his way back to his nest. At times Brambling finds himself on his own and he has to use his own will and resilience to travel on further. Brambling’s experiences in the story not only help him to get better, they give him the courage to be independent and free. Colourful Birds, a dragonfly, a hornet, a terrapin, honeybees and an angel fish are all characters he meets along the way; each has a role in helping Brambling to help himself and find his way back to his nest, in the tree in the garden from where he first flew. Brambling’s journey mirrors the pathway to recovery that many of the children from these wards have experienced, and is a reminder to all of us of the journeys we make and the stages we go through in finding our way in life. All of the characters are based on living creatures; some of the characters take their names from their real names in nature, other character’s names are inspired by mythological creatures. * voiced by Sue Wolmersley, all other characters voiced by Mark Fisher. As part of our final celebrations of the Songbirds project, all the children and families who have worked with Mark and Ros will receive a recording of A Songbird’s Tale and Songbirds music as part of two special end of project events to be held on Thursday 24th and Friday 25th September at Royal Manchester Children’s Hospital. The Songbirds CD, as well as featuring Brambling’s story, will feature full versions of music used in the story. 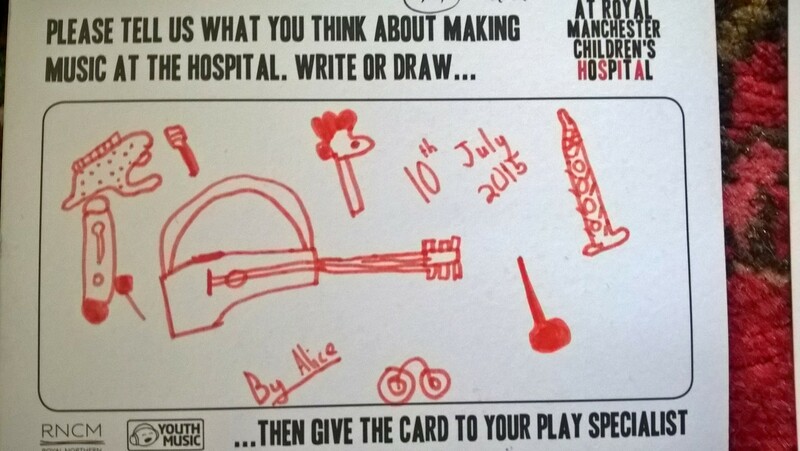 The music will be familiar to the children as it has been both inspired by and specially composed for them as part of the project, and used by the musicians on the wards during their weekly sessions. 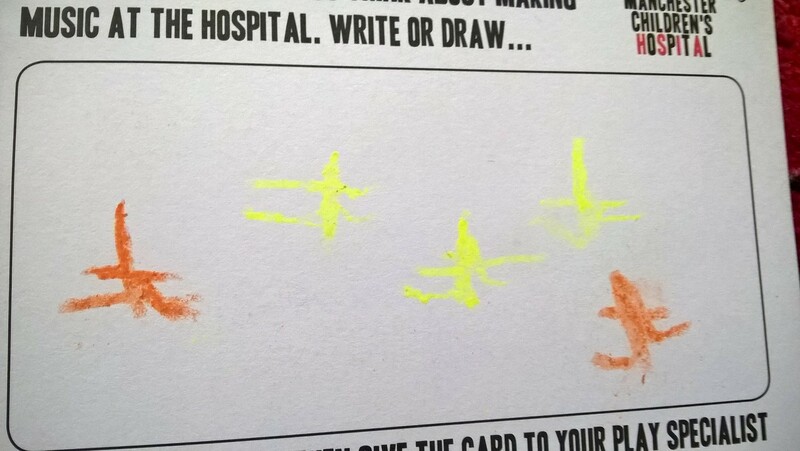 The children and families will also receive specially designed Songbird postcards along with percussion instruments similar to those used with Mark and Ros on the wards to take home and use with their families, all of which will be presented in a special bag. 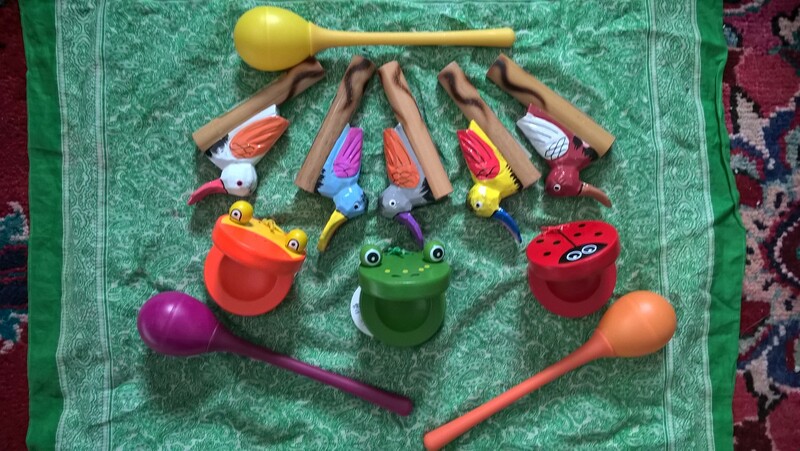 A Songbirds logo will be created by LIME artist Kim Thompson, inspired by magical birds created by the children and staff in sessions with Play Specialist John Smith. 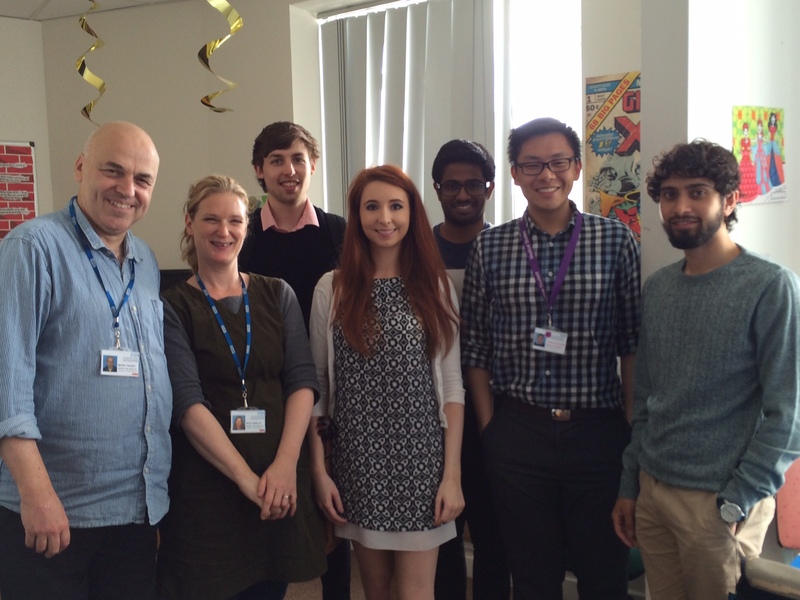 “The project has been an incredible experience. 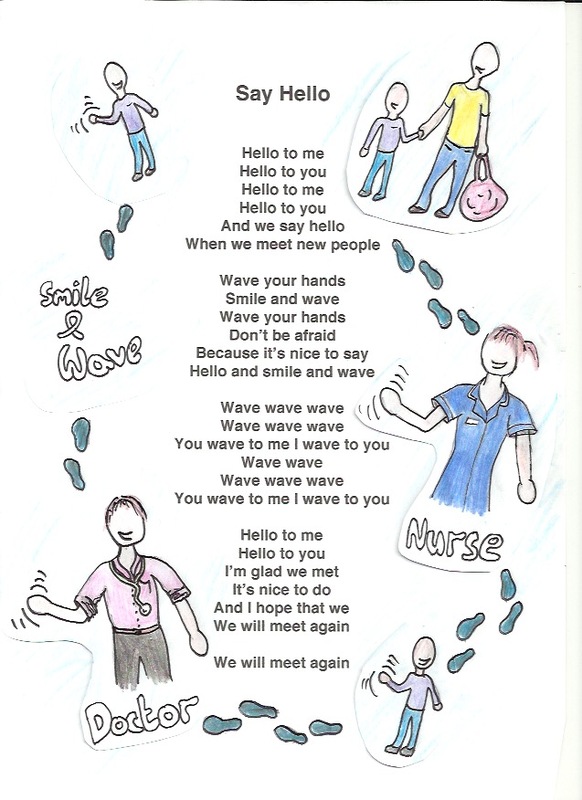 We have learnt so much from all the children, families and staff who have welcomed us into their world at the hospital. It has been a privilege to be able to offer music as an element of rehabilitation for these children, and to see how music and musicians can play a part in a child’s progression towards going home. Although our Songbird’s project will be finishing this autumn, we will be seeking further funding and sponsorship to turn A Songbird’s Tale into a children’s book, audio book and play for children in hospital, with the aim of performing and touring it at children’s hospitals around the UK.